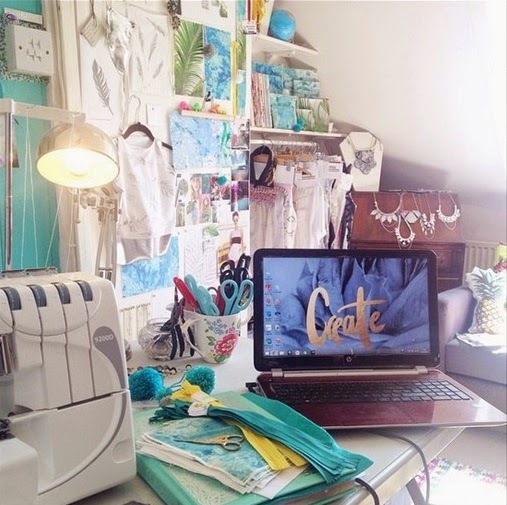 I thought I would share with you a normal day working in my studio, so when im not an embroidery assistant for a local company I work around three days from home in my studio on freelance textile jobs but also on my own products for my ASOS boutique , I love days like these as my studio is defiantly my favourite place. To me its really inspiring and helps me come up with my new collections. 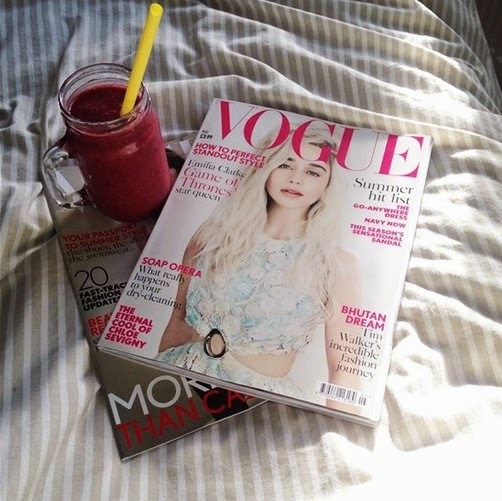 On a usual day I would wake up around 8am and make a little fruit smoothie get back into bed skim through some magazines and put something on my laptop to watch whilst I add a little make-up to my face! Even though most days when working from home I am only popping out to the post office I still like to get dressed as it helps to motivate me into getting moving! By 9am I have made it into my studio room and set up my laptop responding to emails, checking my social media accounts and of course making a list! This helps to plan my day and ensure I best make use of my time. I will then write up and package sales from the previous day which I will either go straight to post or set aside to post later in the day. Then I will either start designing or creating my products. 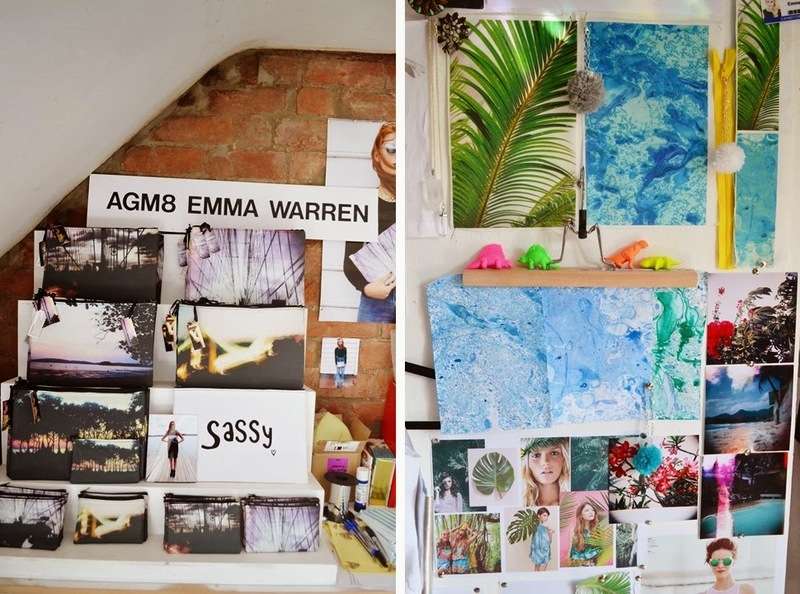 On this particular day I was starting to create products for my SS15 collection which involves tropical marble prints for a range of bags and clothing. I hope you enjoyed seeing a little of what I do I would love to hear what you guys get up to day to day.